A Canalfront house on Pond Island! This house is situated on a nice lot that offers great views of the Roanoke Sound, particularly at sunset. 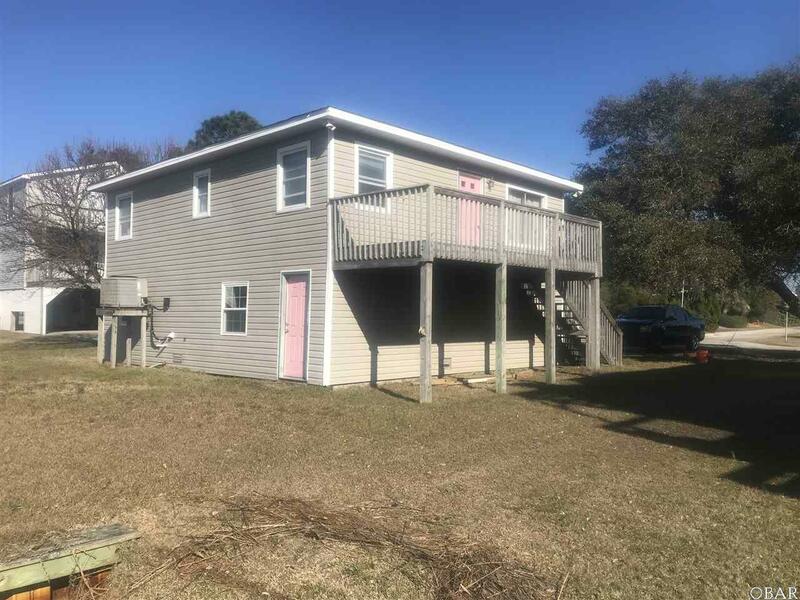 Boating from your own dockside home will be a joy with easy access to the sound waters and only a short distance to downtown Manteo or Oregon Inlet. The views from the elevated south facing open sundeck are incredible. Upstairs the house consist of 2 bedrooms, one bath and a living, dining, kitchen combo area. There is an interior stairwell to the ground floor which will take you to a small bedroom, one full bath, laundry area and one car garage. The 75 of canal frontage has a newer vinyl corrugated bulkhead and the lot is level and stable with grass. The original wall unit a/c and wall gas heater are still in place as a backup source but a central heat pump system is in place for heating and a/c. This house is a fixer upper and is being sold in its AS IS condition. Although, all of the major components are in place so renovations will not be huge for this 1968 house. Please NOTE: The entire ground floor area of this house is susceptible to flooding during storm events. Listing courtesy of David L Perrot of Coldwell Banker Seaside Realty - Kdh.